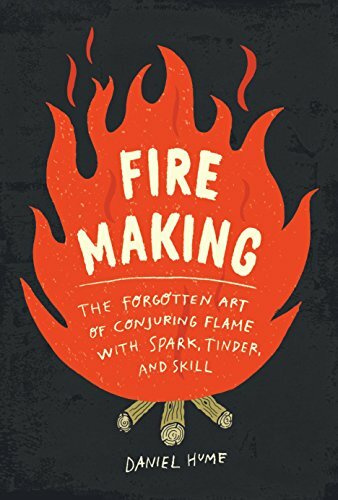 Fire Making: The Forgotten Art of Conjuring Flame with Spark, Tinder, and Skill | Free eBooks Download - EBOOKEE! Posted on 2018-06-05, updated at 2018-07-17, by perica123. If you ask outdoorsman Daniel Hume for the fastest, most practical way to start a fire, he'll tell you: Use a match. But he probably won't stop there. For Hume, conjuring flame is an art form, and seeking out the old ways is a passion that has led him the world over. Plus modern fire-making hacks, such as using foil and a battery. Hume's crystal clear steps, all helpfully illustrated, make it easy to start and maintain the perfect fire for any need-from quickly boiling a pot of water, to setting up camp . . . to the sheer joy of seeing your efforts rewarded with a blaze of warmth and light. No comments for "Fire Making: The Forgotten Art of Conjuring Flame with Spark, Tinder, and Skill".